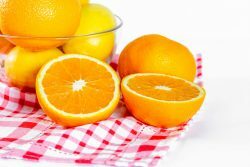 Vitamin C – What is it & what does it do? 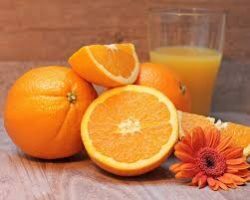 Vitamin C is a powerful antioxidant that is essential in our diets. It is an antioxidant vitamin that helps protect cells in our body and keep them healthy. 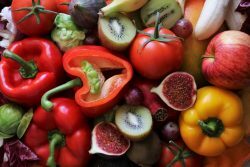 Vitamins help maintain and support our skin, tendons, ligaments and blood vessels. It also assists with the healing of wounds and scar tissue. 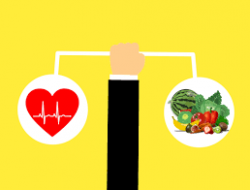 If you’re turning your nose up at brussel sprouts and other fruits and vegetables then you can also take vitamins in the form of supplements. This recipe creates a healthy vegetarian meal full of vitamins that serves 4. Heat oil in a Dutch oven over medium-high heat. Add sweet potato and onion and cook, stirring often, until the onion is beginning to soften, about 4 minutes. Next, add garlic, chili powder, cumin, chipotle and salt and cook, stirring constantly, for 30 seconds. Add water and bring to a simmer. Cover, reduce heat to maintain a gentle simmer and cook until the sweet potato is tender, 10 to 12 minutes. Add beans, tomatoes and lime juice; increase heat to high and return to a simmer, stirring often. Reduce heat and simmer until slightly reduced, about 5 minutes. Remove from heat and stir in cilantro. Next post Four Day Weekend Alert!